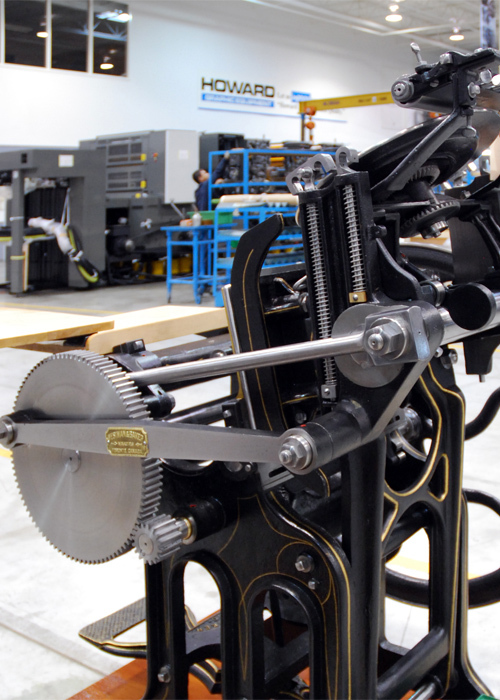 Age: 1882, Serial No. 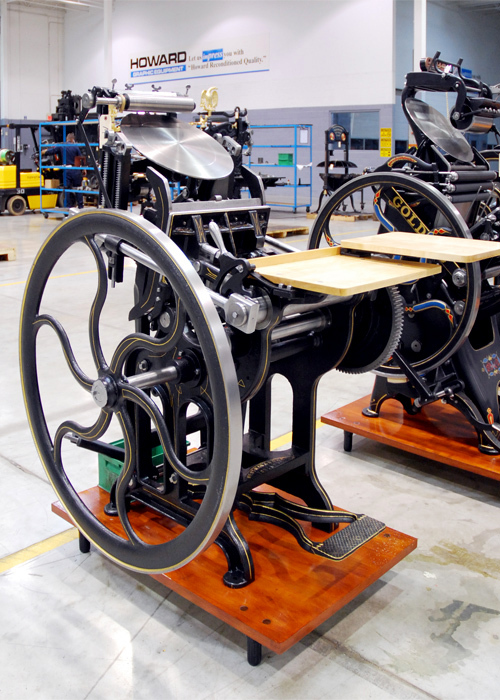 458, Bed size: 10" x 15"
Few printing machines were manufactured in the Dominion of Canada. 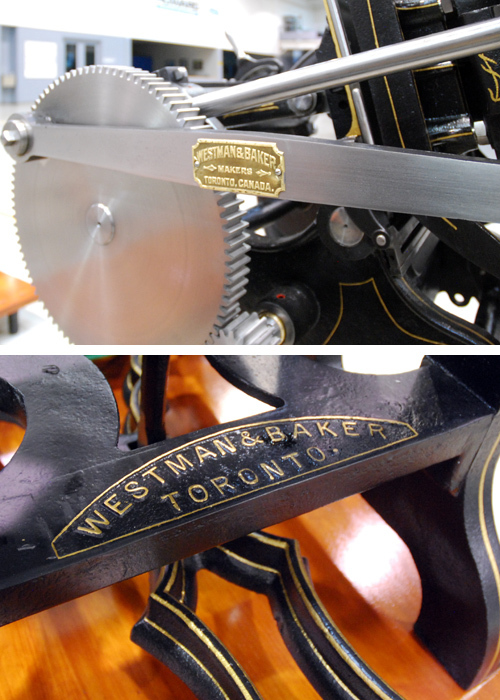 This Westman & Baker is a virtual copy of George Gordon’s “New Style” platen. 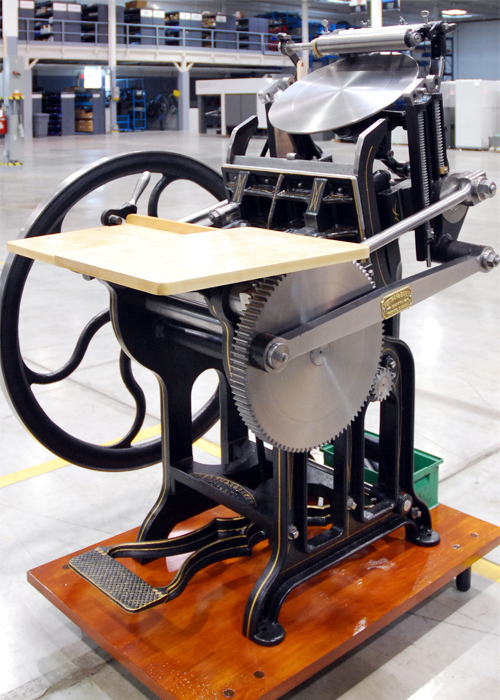 Built in Toronto, W & B also manufactured paper cutters of the hand lever design and were also very similar to those produced by the Howard Iron Works of Buffalo, NY.